do u like lana with her powers? 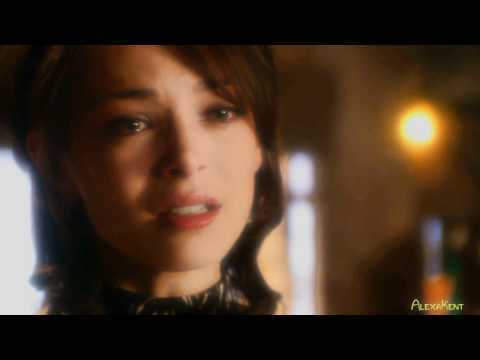 will u still watch smallville now that lana is gone? Where u surprised that lana got powers? Should we talk about meer clana? de keuze van de fan: OF COURSE WE WANT THESE 2 LOVE BIRDS TEGETHER! arent u tired of people talking about how much they love clois and chlark meer than clana! de keuze van de fan: They have no Taste! Who thinks the Louis Lane version of Superman is older then the hills? Who thinks a change is in favor? As it been declared that Kristin will return to Smallville for at least a guest appearance? Clark went to the barn. Clark:i am so sorry about Lois. Lana:so what are we doing here? Lana:dont say that to me weirdo! Lana:lol u are so dumb. Clark:yeah i am but arent i a good kisser? Lana:i dont know why don't u ask my lips. Clark kisses Lana on the Lips. Lana:i don't know yet still need some Lips. Lois:Well well well Lana came back. Clark:what do u want Lois? Lois:i Just Came 2 give u Luck for movin on but i guess u cant can you. Lana:What do u want from us! Lois:I want Clark! to be with me! Clark:i'm Sorry Lois but i'm with Lana. Lois:Whatever talk to the hand! Clark: can i talk 2 u for a sec Lois. Clark puts her on the bed. Lana takes clark's overhemd, shirt off. Clark kisses Lana's Lips and Moans. Lana takes off her Dress. Clark take's off her shorts. Clark:why are we still wearing our cothes? Lana:idk why don't u do the honours? Clark:of course u majesty. *clark took of everything from Lana. Lana:Ok! *Lana just did the same the same thing as clark just did. Everyone was having a good time and went to chloe. Lana:OMG that was so beautiful! Chloe:Hey Lana! can u take this to my room plz. Lana was walking everywhere she cooeh stuuld not see anything she accidently dropped the boeken to the floor and a man helped her. Lana:thx for the help. (en she saw the person and his face his beautiful face with thos egorgeous blue/green colour eyes amd that Beautiful browish/blackish hair of his. Lana was tryig to try on a dress but needs soem advice so she called Chloe. Lana:Hey Chloe can u help me pick a out fit! i dont no what to pick. Clark:i'm sorry it's clark and who is this? Lana's hart-, hart just melted when she head his voice. Lana:um it's Chloe's dress designer to see what out fit she would like and pick mine. Clark:oh ok well i'll give her a message k.
Chloe came out of the women's bathroom. Clark:it was a women who was trying to ask u for help for a dress? she zei she was a dress designer. Lana took off her mask and showed her face her hair was short and in curles and looked older like chloe. Lana:i missed u so much chloe! Chloe:Me 2! oh wait but what about clark? Lana:Clark dosent need 2 no. Chloe:Hold on when did u come back. Chloe:WHAT lana what have u been doing! Lana:i've been thinking should i tell a friend that i trust and no ur the one i can trust. Clark was at the daily planet talkin to chloe. Chloe:Do u want to verplaats on! Clark: i guess i have too but it's so hard to do. Chloe:i feel the same way when oliver went and it broke my hart-, hart but i had 2 verplaats on. Chloe:Ok good i'm not just saying this cause it's the right thing to do i'm saying this cause i care about u being happy. Clark: i know u do chloe.But i already moved on. Clark:no i have been with Lois. Lois:do u have any plans? Clark:i'm sorry i need 2 go. Lois was just there confused. Clark went to lana's place. Lana:Hey clark!what are u doing here i thought u were with lois doing the artikel at the daily planet of course she's your girlfreind. Lana was with Lois,Chloe and Clark. Lana:do u have any plans? Lois:Nope i'm available what bout u Chloe? Chloe:Nah i don't got any plans. Lana:Great so we can go all three! Lana:Why don't u come too clark. Clark:why afraid u would get beaten door me? Lois:i won't get beaten door a Loser! Clark:who u callin Loser u know what u are. Lois:what am i smallville hmm? SHIPPERWAR.COM a fan network to celebrate every form of shipping! why can't clark and lana be togther?